Imagine you own a 5 room dormitory. You let your tenants live the way that they want. You let them decide how to decorate their rooms. You respect their privacy. One thing they can’t change is your rules. When you said, no visitors allowed at this and that time, they don’t have any choice but to follow it. At times, you need to be strict regulating your rules in order to maintain your required goal. Basically, this is how VPS works. 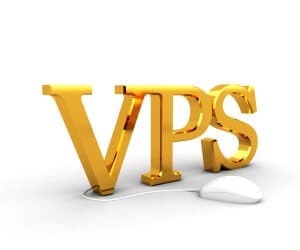 Virtual Private Server or VPS is a server that connects website or accounts to other users. This VPS server requires a Host or a dedicated server that will monitor and regulate the whole operation. Servers that are connected from the dedicated server have their own privileges of setting up their own password, change up their page’s profile, or anything that is being allowed by the main Host. The dedicated server can see through other users account, but users cannot see the dedicated server’s account unless, you are given the right to do so. Where can we use VPS? Some companies use VPS on their everyday operations. Some use it for online promotions. While some use it for their internal services. Setting up a website is trending among companies since it’s a new way of reaching out to their target market. And also to monitor whether their business is a success by the numbers of customers who joined their site. Other companies prefer to use it as one of their internal operations in order to regulate the companies flow. This is only shared among the company’s employees. Google, Facebook, Twitter and other networking sites are using VPS. They allow people to connect with their website, let their users explore and have fun with it, but users should also follow certain policies for maintaining the flow of it. One VPS for a networking site is not enough to suffice the amount of countless users that want to join in. Just like Facebook and Twitter that have millions and billions of users. They are said to have hundreds, and if not, thousands of dedicated servers around the globe. For a normal person, I don’t think you will need a VPS. Unless you can find your own service provider and pay them millions for that? And even so, how would you like to use it or share it to other users? VPS needs a wide scope of users to use it productively. That’s why some companies and big corporations can only avail it. They need it in order to connect to a wide range of market. As for Social networking sites they need it to connect and inform the people. Practically speaking, it can be essential for some business men out there who seek for their business to be successful. Modern technology makes the world smaller. Just take VPS for an example; even though most of the people this time didn’t necessarily need it, unconsciously, they use it to get close to the ones they love.